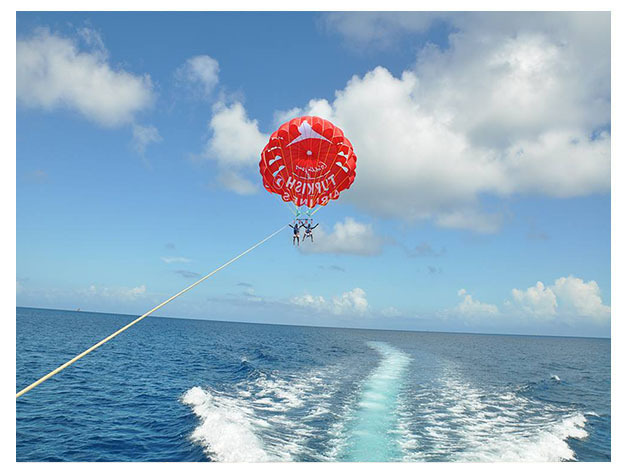 Parasailing has evolved into a safe, easy and thrilling activity. It's an adventure anyone can enjoy because there is no running or jumping, and no experience is necessary. Your captain will provide safety and flying instructions to ensure you have a fantastic time in the safest way possible. When it is your turn to parasail, you will be secured in a safety harness. 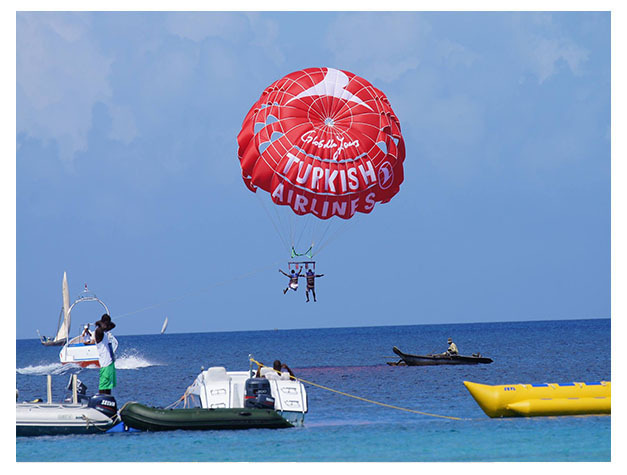 You are safely and securely attached to the rope allowing you to float in the air and enjoy the thrill of flying and the amazing panoramic views of the island. The ride lasts approximately 10 – 12 minutes.